I have a generic HD44780 compatible 16x2 LCD display, with an already soldered on PCF8574 module. Its backlight is blue, and the characters are supposed to be white (on blue). It is connected to a generic "Lolin" ESP8266 module which is working fine and is not related to the problem, I hope. 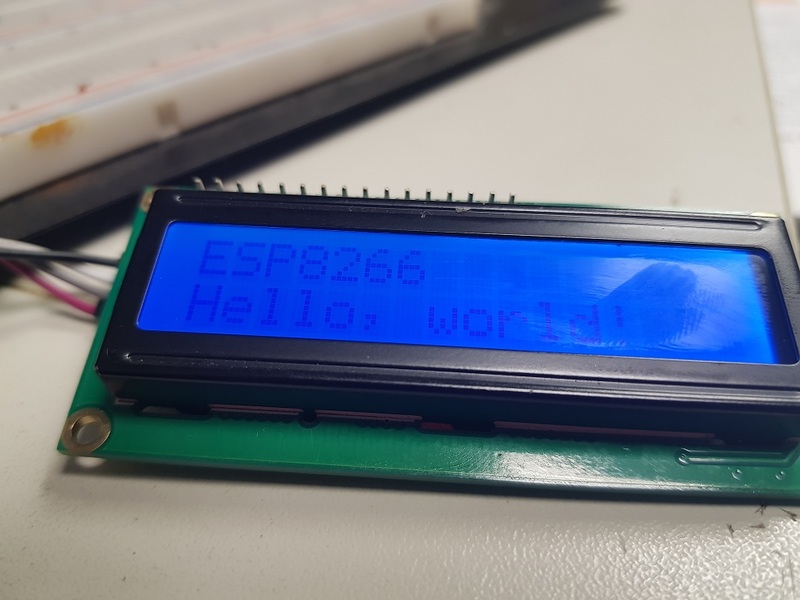 Using the LiquidCrystal_I2C library available at https://github.com/lucasmaziero/LiquidCrystal_I2C, I uploaded the simple "Hello, World" sketch provided, and it works. Used the most current libraries and Arduino IDE as of 2019-03-20. However, the text displayed is a very dim black-on-blue instead of a bright white-on-blue. I do not have any clue on why it happens and how to fix it (and that's my question). 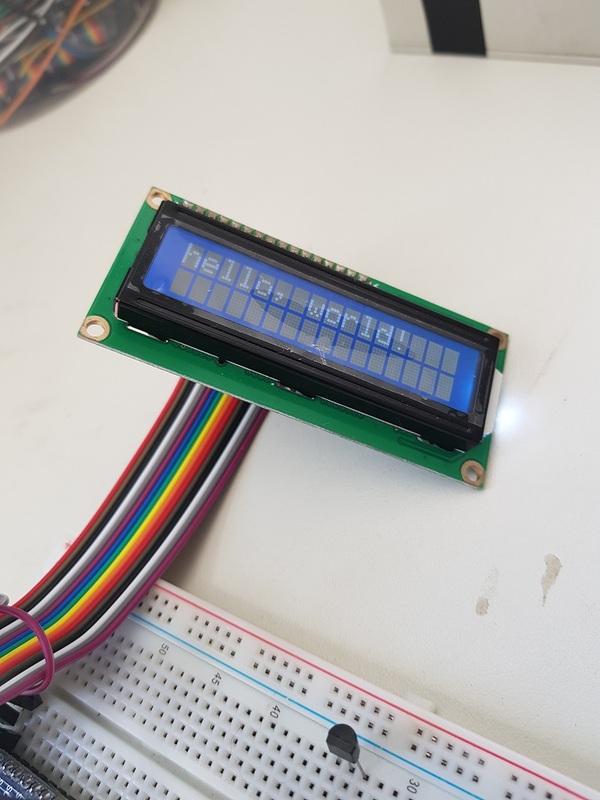 What I know is that if I somehow "glitch" the display (for example by disconnecting and reconnecting the power lead) it will sometimes display gibberish, but in a very clear white-on-blue, so I know the LCD hardware is not defective per se. Below, the example sketch used to generate the problem. Be aware it is for the first LiquidCrystal_I2C library I referred above, but with changes, works with the others I tried. And a photo of the anomalous display. Turning the constrast potentiometer does not help. There is a chance that this LCD would need a negative voltage on contrast PIN. Below there is a simple schematic. You would need to provide pulses on the 'Pulse in' branch. Use Negative voltage branch and potentiometer to feed your contrast pin. This answer is just to complement @smajli's answers posted (and accepted) before. The problem lies in that the contrast pin has to be fed negative voltages when the module is powerered via a 3.3V supply to be able to show text in the correct white-on-blue setting and not on the faint black-on-blue. @smajli correctly showed how the negative voltage may be generated from the normal positive supply and a pulse generator. 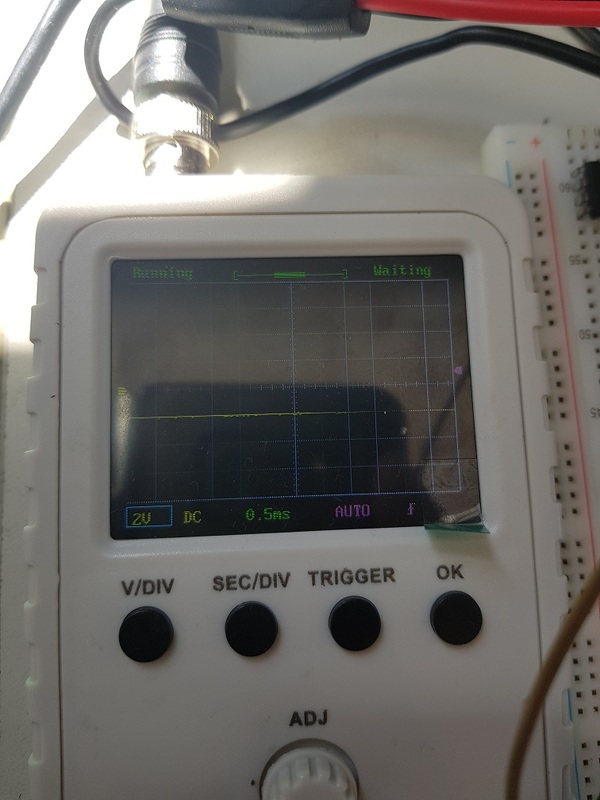 However, in my scenario, the pulse generator was connected to the +3.3V rail instead of +5V and the pulses where generated via the ESP8266's PWM feature. Using a duty cycle of 50% it generates about -2V. I'll not reproduce his schematic here, though, but below is a photo of it assembled and in action. Finally, the photo below illustrates the final result. Again, thanks again to @smajli for the previous insights and answer. P.S. : Keen readers will notice the module used now is NOT the same used when I asked the question originally. It is another generic HD44870 module, but without the I2C interface, working in 4-bit mode. However, the exact same problem (black-on-blue text) occurs when the contrast pin is set to anywhere between +3.3V and GND and is promptly solved when using negative voltage. Not the answer you're looking for? Browse other questions tagged esp8266 i2c display or ask your own question. Are there any commonly available and supported backlit, monochrome graphic LCDs with more than 128x64 pixels? Why is my esp8266 still visible under “available connections” when connecting to WiFi?